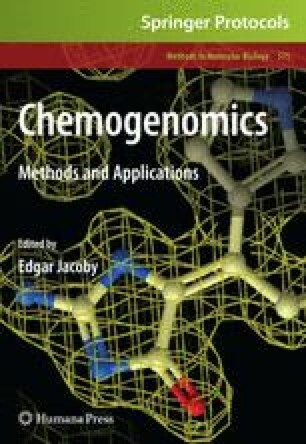 We describe an integrated system that brings together predictive chemical analyses based on compound structure, knowledge bases of chemogenomics data associating compounds to biological, pharmacological and toxicological properties, and a systems biology functional data analysis and network reconstruction approach, to provide an in silico evaluation of the possible effects of xenobiotics on biological systems. We demonstrate the combination of drug and xenobiotic metabolism prediction, quantitative structure-activity relationship (QSAR) models and structural similarity searching to generate a list of similar compounds to, and possible targets for novel compounds. These lists of compounds and proteins are mapped to functional ontologies such as gene-disease associations, biological processes, and mechanisms of toxicity, and can be used to reconstruct biological networks linking together the component nodes into biologically-meaningful clusters. Thus, an assessment of biological effects can be made early in the discovery and development process that can be used to prioritize the best compounds for additional testing or development, or to direct efforts in medicinal chemistry to improve compound activity profiles.